We all drive and ride on our roads and highways and we do so assuming that the roads and highways are safe. We believe that our government and road and bridge contractors take serious their responsibility for our safety. But experience shows us otherwise. Frequently the design, construction and maintenance of Louisiana highways, roads and bridges are substandard. Worse still they have been in this condition for decades. In case after case, it is determined that the responsible governmental organization has violated national, regional and even its own standards in designing, building and maintaining roadways. These failures often cause car crashes or make those crashes more severe, even deadly. All to often, these are one car accidents that we have been conditioned to believe can only be the fault of the driver. If the driver is killed or seriously injured there is often no one to challenge this assumption. That is where we come in. 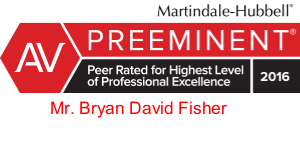 Bryan Fisher and the legal team at Fisher Injury Lawyers are experienced and skilled in handling defective highway, road and bridge injury cases. We have handled multi-car and single car accidents caused or made worse by defective roadways. We have brought road hazard claims for defective road barriers, defective “grooved” roadways that hold water, and defective road shoulders. We have represented seriously injured people for malfunctioning traffic lights, inadequate roadway lighting and inappropriate curb design. Our clients have include the survivors of those killed in accidents, those suffering quadriplegia, paraplegia, brain injuries and serious orthopedic injuries. We possess the experience and resources to successfully represent you against big government and win. Call us now. We are here for you.